Fans may have already heard, but the Redbirds have released another hint of something new the 15th season at AutoZone Park will feature. 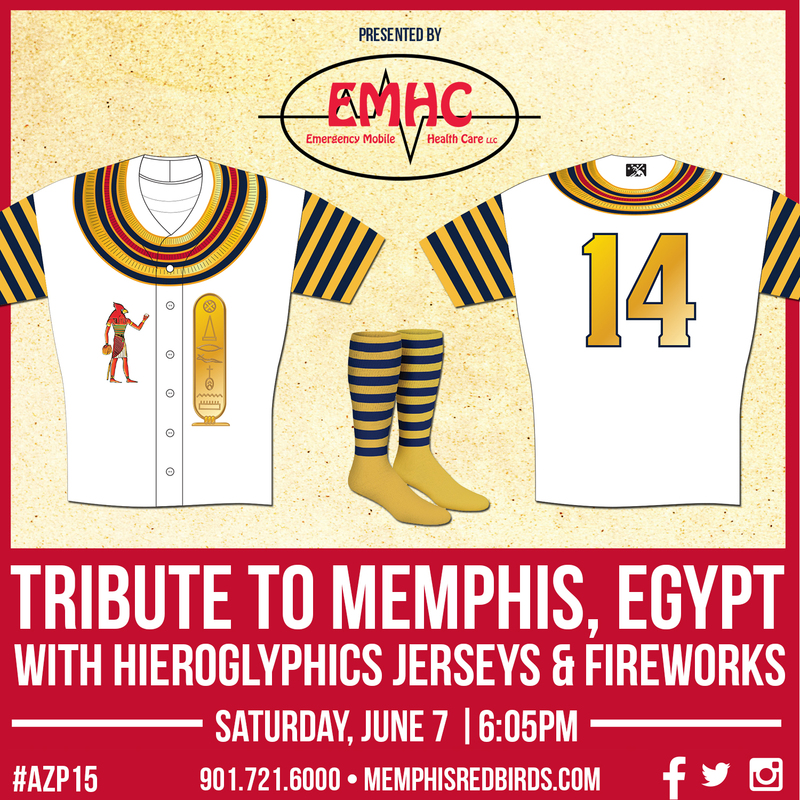 On Saturday, June 7th, when Memphis plays host to Nashville, it will be Tribute to Memphis, Egypt Night. As part of the night, fans will see Redbird players sporting Egyptain-themed jerseys. The night will conclude with a special fireworks presentation. Fans will not want to miss seeing their favorite players in these one-of-a-kind jerseys.